This week has been a little slower than normal for me. I am catching up on titles and finally going to be able to take it slower. So this is what I am reading now, waiting for, and what I recommend! I hope that you enjoy this week's picks! Let me know in the comments what you are reading, waiting for, and one title that you recommend! After DNFing this book around 3 times I am finally committed to really trying to read this one and I have to tell you although I already know what twist is coming I am really enjoying this one. Mirabella is a fierce elemental, able to spark hungry flames or vicious storms at the snap of her fingers. Katharine is a poisoner, one who can ingest the deadliest poisons without so much as a stomachache. Arsinoe, a naturalist, is said to have the ability to bloom the reddest rose and control the fiercest of lions. But becoming the Queen Crowned isn’t solely a matter of royal birth. Each sister has to fight for it. And it’s not just a game of win or lose…it’s life or death. The night the sisters turn sixteen, the battle begins. I am a die hard fan of anything and everything from Sherry Ficklin! 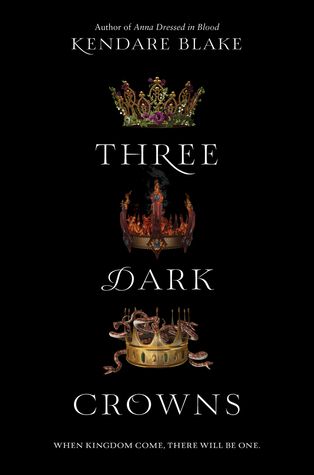 So of course I am so excited to be able to read her newest title! Its out in Oct. make sure to click the links below and add it to your Goodreads TBR list as well as preorder it via Amazon! Orphaned by an unspeakable evil, Aria Dupree is the last of her line. A powerful witch tasked with guarding the boundaries between our world and the world of demons who prey on humankind, Aria has gone rogue. Now she’s out to find and destroy every single gateway into our world and kill every demon that she can find — including the one who murdered her mother. But, as it turns out, hunting is the easy part; it’s graduating high school that might kill her. 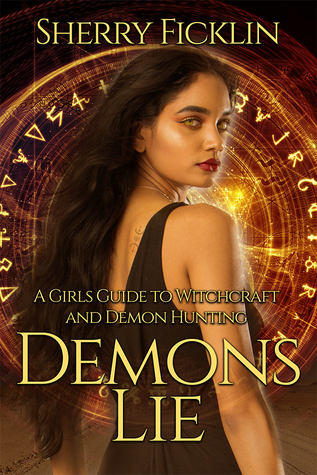 Red Prairie Texas isn’t just another stop on her demon hunting world tour and an unlikely alliance might be exactly what she needs to keep from becoming a slave to the very darkness she’s been fighting against. Because the devil is coming down to Texas — and only Aria can keep all hell from breaking loose. 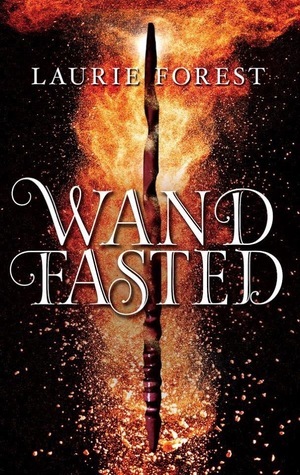 This week I recommend Wandfasted which is set before The Black Witch I have to say that this was one of the best Novella stories that I have EVER read! This is what a novella should be! And they certainly didn't count on Her.